Gordon Ramsay is of course pretty daggy these days. Despite the Michelin stars, the TV series have tarnished the brand and made it easy to downgrade a book like this. This book is family cooking, by which I mean family favourites, short ingredients lists, and easy techniques. But it is excellent in its flavour combinations, has many good ideas for vegetable sides and has really precise instructions. There are no duds here. Nice side dish with grilled pork chops. Excellent presentation of a classic. Works every time and makes for a sophisticated starter or lunch dish. Another classic recipe from Gordon, presented with fail-safe instructions for an easy, delicious, yet not overly heavy potato dish. I've made this perhaps twenty times. It is where I end up every time I want to make casserole despite having many other options on the shelf. It delivers on flavour and is easy, what more do you want from a casserole? 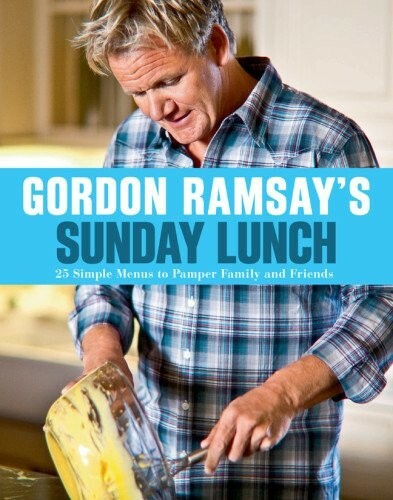 Superstar chef Gordon Ramsay knows: there's nothing better than family and friends sharing a big home-cooked meal. And he makes it easy to enjoy a weekend repast, with 25 full menus ranging from traditional roasts and comforting desserts to Indian- and Moroccan-themed feasts. Along with the recipes, he offers helpful culinary hints on every aspect of preparation, plus personal photos of his own family at the table.